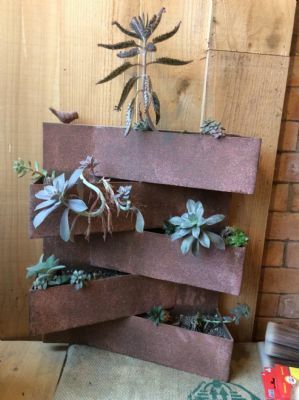 This beautiful wall planter is made from metal with a rusted effect to give an antique look to the planter. It is ideal for hanging on a wall, fence and much more in your garden. Its mounted with 2 hanging hooks on the back of the planter making it easy to mount to any surface. This lovely design allows for 4 planting areas.